Does not cover, but neutralizes ferrety characteristic odor. 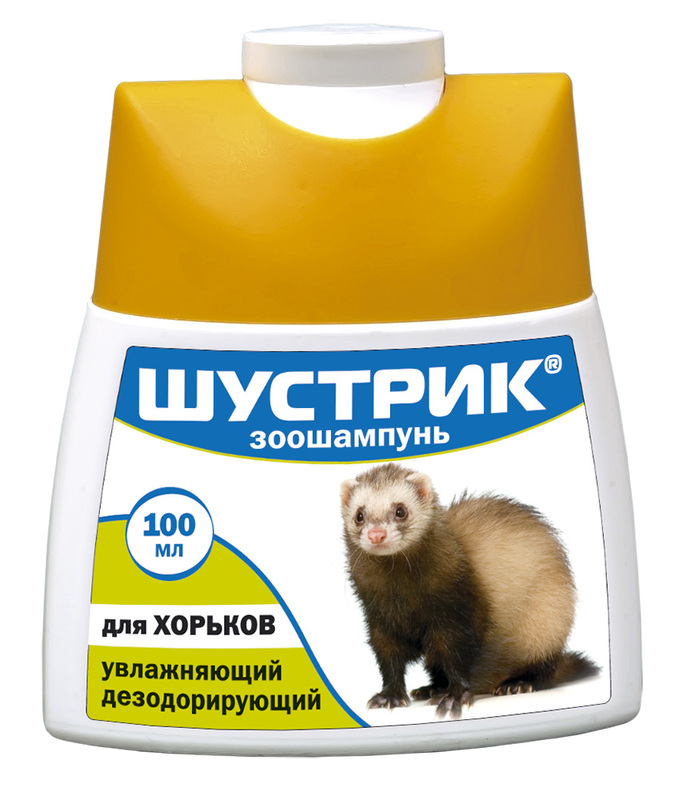 Shustrik shampoo is a washing agent for regular tender care about ferrety pelage and skin. The shampoo combines soft washing moisturizing complex and natural components with antistatic action. Glycerol (component of the shampoo) activates metabolic processes in hair bulbs and skin. Due to saponins, flavonoids, various mineral salts, alkaloids, В1, В2, D, Е vitamins, carotene, protein (gluten), starch and lipids, oat extract provides tonic effect and promotes hair shaft growth. Allantoin provides moisturizing and softening effect, abirritates. Natural biologically active substances effectively remove ferrety characteristic odor providing a nice fresh one. For regular care about ferrety pelage and skin (especially, in captive animals kept in restricted space for a long time). Moisten animal hair with warm water and apply shampoo dissolved in water (1:5), rub it until foam appears. In 1-2 minutes wash shampoo away with warm water and dry hair. In severe cases repeat the procedure. Store in closed original package at 0-25°С. Protect from light. Keep out of the reach of children and animals. Store separately from food and animal feeding. Shelf life is 2 years from manufacturing date.